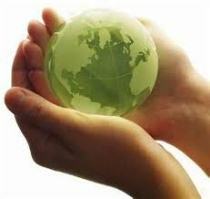 Will Consumers & Transparency Drive the Janitorial/Sanitation Industry in 2013? As the industry waits to see the impact of the FTC Green Guides, there is no question that the issue of managing and controlling information will continue to rise throughout 2013. 2012 was an eventful year for the institutional cleaning industry, with the release of the updated Federal Trade Commission (FTC) Green Guides, continued market and regulatory pressure for transparency in environmental claims, and constantly shifting consumer demands. What does this mean for 2013? This could be the year that consumers drive green into the mainstream market and the Janitorial/Sanitation (Jan/San) industry takes a closer look at communications, as well as the gaps in its data and programs, to make environmental marketing messages more transparent. Here is a look back at the key issues that took root in 2012 and a look at what could take shape in the cleaning industry in 2013. The October 2012 release of the long-awaited FTC "Guides for the Use of Environmental Marketing Claims" was a key update for all industries, including commercial cleaning. The update provides modifications and clarifications to sections, as well as guidance on new claims. The guides continues to caution against broad, unqualified claims such as "environmentally-friendly," "eco-friendly," or "green." It indicates that claims should represent a materially important benefit and defines having objective support for claims (which often requires competent and reliable scientific evidence). New sections in the guides include: certifications and seals of approval; carbon offsets; free-of; non-toxic; made with renewable energy; and made with renewable materials. Terms not addressed in the guides include: "sustainable," "natural," and "organic." "Natural" and "organic" are already the subject of definitions and guidance by the FDA and the USDA's National Organics Program, and the FTC lacked a "sufficient basis to provide meaningful guidance" about the use of the term "sustainable." The revisions to the Green Guides have raised some questions. Manufacturers want clarity on how flexible the FTC will be with interpretation of the Green Guides, implementation of policies, and to what extent the commission will "crack down" on those who purposefully or unintentionally are not abiding with the guides. Companies not willing to wait and risk compliance issues with the Green Guides are proactively working with their legal counsel and revising their claims language today. Taking this precautionary measure could save companies' reputations and costs by helping to prevent lawsuits from being filed against them. During the past few years, the consumer and retailer segments of the cleaning product industry have targeted the "early adopter" consumer – a highly educated woman older than 30 who views environmentally preferable and/or healthy cleaning products as a valued, premium product. In 2012, UL Environment and others identified a shift that will drive the industry in 2013: the emergence of the "early majority" consumer. The "early majority," who opens the door to the mainstream consumer, views "green" as a desired attribute for their cleaning products. Even so, the cleaning product industry faces some significant trust issues with these consumers. According to the UL (Underwriters Laboratories) "Navigating the Product Mindset" study, on average, 73 percent of consumers do not believe that household chemical manufacturers have taken adequate steps to ensure that environmentally preferable manufacturing procedures are followed. Nearly two-thirds of consumers surveyed do not believe manufacturers thoroughly test products before they arrive on store shelves. And while the Jan/San industry manufacturers, producers, marketers, and retailers want to communicate with consumers that their products and processes are trustworthy, the Green Guides are requiring this information in the form of technical, detailed language on labels. Delivering trust to consumers and retailers is aided and simplified by third-party scientific validation and certification of product and lifecycle attributes. Therefore, third-party certification and validation will become increasingly important. "Trust" is an issue beyond just the retail and consumer level. In 2012, there was an increased availability of industry transparency and reporting tools. That trend will continue in 2013 as the Jan/San industry seeks better ways to manage assurances on product components, certifications, and product claims (including self-declarations) in order to meet current and prospective commercial, health, and government customer needs. Managing information will become even more important as the expectation of supply chain management increases. This can be seen most predominantly with paper and recycled-content products. Retailers, in particular, and other purchasers are creating "Green Checklists" and "Green Purchasing Requirements" that call for suppliers and manufacturers to ensure that certain criteria -- from legal and sustainable forestry sources to third-party validation of environmental claims -- are met as part of purchasing policies. We also saw the vehicles used for getting information to consumers become more sophisticated in 2012. The use of mobile apps such as GoodGuide to access product ratings allows consumers to see a product's environmental, health, and social status using their smartphones before the point of purchase, increasing consumers' knowledge and pushing manufacturers to provide more product information. In 2013, the Jan/San industry will turn to new reporting systems being developed by industry associations and organizations such as GoodGuide to provide easy-to-understand information so that consumers and professional purchasers can learn more about a product's or company's performance. In 2012, we continued to see a lack of clarity in the labeling of green cleaning products and the continued growth of self-declared and industry association labels. Manufacturers and professional purchasers are frustrated about the confusion and cost of managing self-declared labels and multiple certifications. In 2013, UL Environment hopes to see a major push toward the consolidation of ecolabels, which would result in lower costs, efficiencies in information management, and greater transparency. A standardization or consolidation of labels would allow participants to more easily compare certifications and standards. Overall, there is an exciting year ahead for the Jan/San industry that could help communicate transparency across the value chain. As the industry waits to see the impact of the FTC Green Guides, there is no question the issue of managing and controlling information will continue to rise throughout 2013. Green - more specifically, "health and environmental" claims -– are dominant marketing trends, and manufacturers of green cleaning products will need to deliver clear and transparent product messages to be successful in this knowledgeable marketplace. Dr. Angela Griffiths brings more than 15 years of experience managing programs, projects, and organizations to her roles as the Executive Director of the EcoLogo Program and Head of Operations for UL Environment. In this leadership position, she manages UL Environment's Science and Standards team and audit and verification related to certification and claims validations. She is a certified management consultant with technical expertise in sustainability planning, cumulative environmental effects assessment, climate change, solid waste management, and energy and water use efficiency. She graduated with a Ph.D. in Resource Management and Environmental Studies from the University of British Columbia. Dr. Angela Griffiths brings more than 15 years of experience managing programs, projects, and organizations to her roles as the Executive Director of the EcoLogo Program and Head of Operations for UL Environment. In this leadership position, she manages UL Environment's Science and Standards team and audit and verification related to certification and claims validations. She is a certified management consultant with technical expertise in sustainability planning, cumulative environmental effects assessment, climate change, solid waste management, and energy and water use efficiency. In her former role as director of Conservation at the Vancouver Aquarium, Angela was responsible for directing award winning local and national conservation programs and for achieving ISO 14000 certification for the organization. Before joining the Vancouver Aquarium, Angela was CEO of Sheltair, a firm delivering sustainability and energy management consulting to the public and private sectors. Prior roles have also included Research Director at the Macleod Institute in Calgary, Senior Consultant with Jacques Whitford Limited in Halifax, and Executive Director of Clean Nova Scotia. She graduated with a Ph.D. in Resource Management and Environmental Studies from the University of British Columbia.